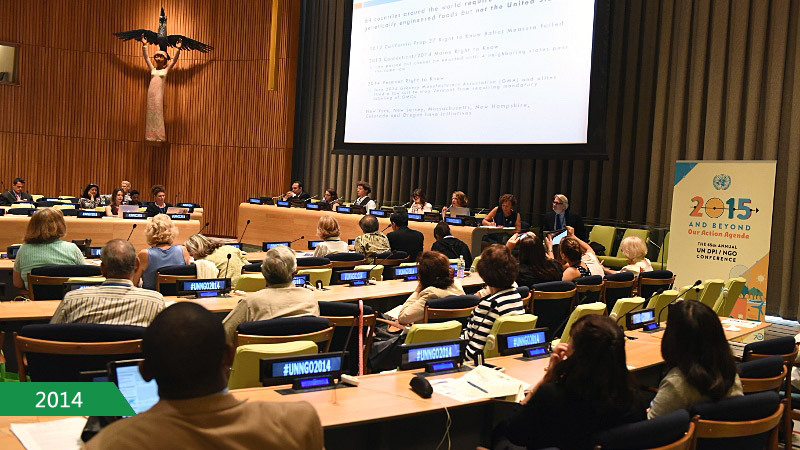 The 65th UN DPI/NGO Conference was rejoined in New York in 2014. President of FOWPAL, also the initiator of ANEOC movement, Dr. Hong, Tao-Tze, presented a solution to the current food shortages and food safety issues at the symposium, emphasizing justice and the change of people's hearts. The international volunteers actively promote ANEOC in the United Nations.